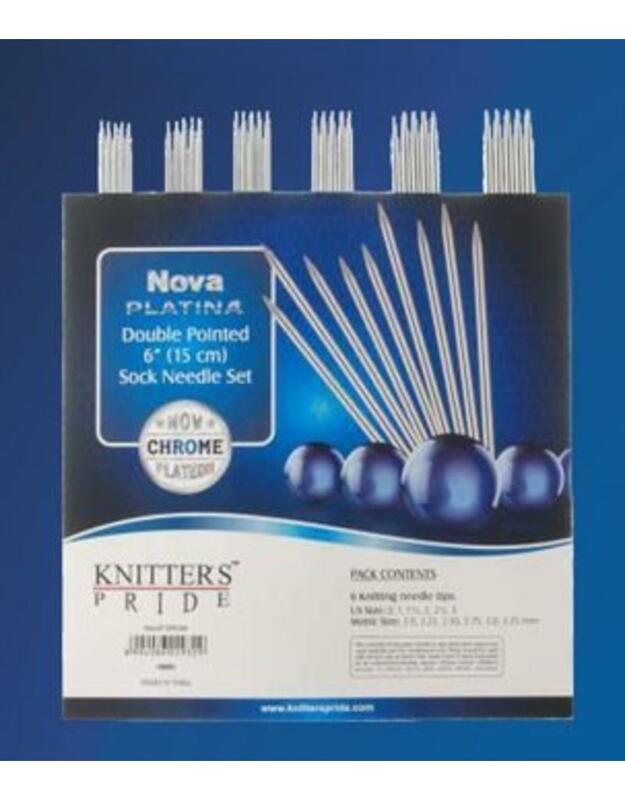 The Nova Platina line of needles is made from hollow brass pipes which are now chrome‰ö_å¢‰Û_Ìàå¬åÂÌ»plated, with remodeled tips that are more tapered and pointier. The chrome finish lends that extra glow and smoothness to the needles that makes these stand out in comparison to all other brass needles in the market place. Nova Platinas provide a brilliant mirror finish that allows stitches to move freely and quickly, is decorative, provides corrosion resistance and is easy to clean. 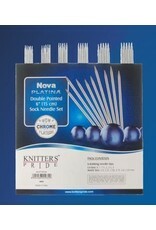 The Knitter’s Pride Nova Platina needles are lightweight, durable and comfortable in the hand. The set contains 6 pairs of 12.5cm (5") double pointed needles: 2.00, 2.25, 2.50, 2.75, 3.00 and 3.25mm (US 0, 1, 1.5, 2, 2.5 and 3) in a clear vinyl case.